I just wanted to share a cute idea that I have done in the past with my classes around Halloween. We don't technically celebrate Halloween at my school, but Kindergarten always had the opportunity to dress up as their favorite book characters and have a fun little parade around the school. 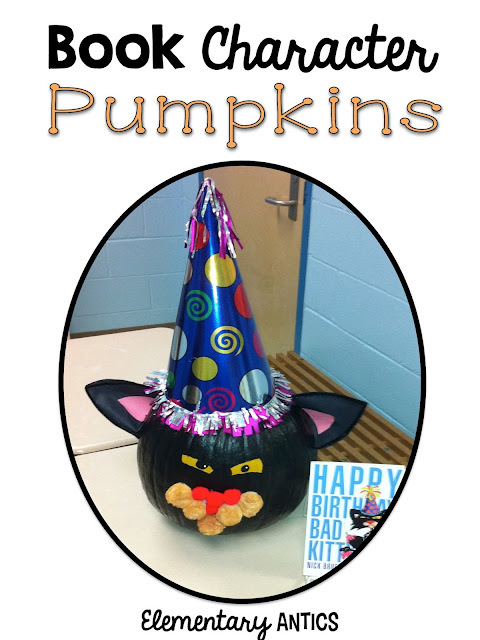 To go along with this, our school PTA gives each class a pumpkin to decorate as a book character. We've done some cute ones in the past, but our Bad Kitty one was my favorite. It's so fun to walk around all of the hallways and see the creative ideas each class has. We've given our kiddos the chance to bring in their own pumpkins decorated as their favorite book characters and they really did an awesome job! We displayed these in the class and hallway through Halloween and the kids just love it. 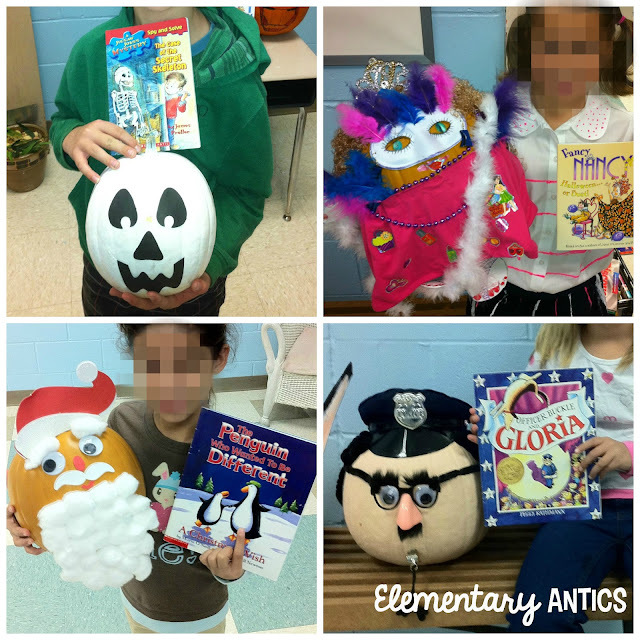 It's such a fun idea to incorporate the fall holidays with a love of reading!